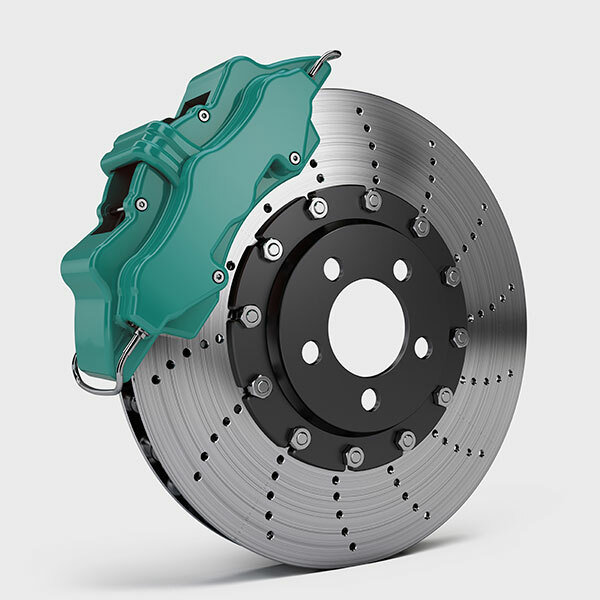 A SCORCHING process usually required during production to prevent bad primary mating.The Brake pad's Scorching is a plasma treatment on pads’ surfaces that makes it "cooked" for better adoption process by the rotor. The Rotor was produced with less or uneven hardness or has bad casting or has inappropriate heat treatment. Rotor needs to be replaced. The Rotor was damaged by previous brake pads or had been overheated. The rotor needs to be skimmed or replaced, alternatively can try to adopt the rotor with slight braking during first two weeks of driving but it depends on the damage level. The Rotor was contaminated with previous brake pad material or it is rusted. The slight but continuous braking are required during first two weeks of driving to dispose of the old material or rust. The Rotor is new but has a coating like with Zinc or Dacromet or Geomet for rust protection. The slight but continuous braking are required after installation during first week to clean coating material on rotor surface.